Of course, as I review my interview with Literary Titan, I cringe because I realize I’m not a very good interview, even though I wrote it. Ugg. I will never learn. 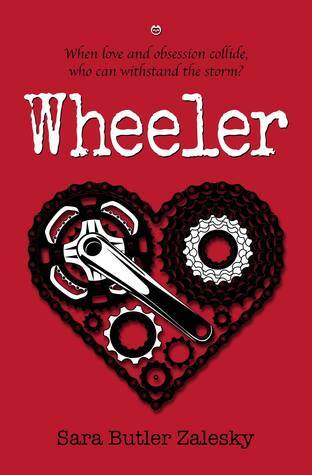 Wheeler is a suspenseful romance novel that follows a strong female cyclist battling both physical and emotional challenges. What was your inspiration for this thrilling novel? I have been a fan of cycling for some years now but over the last five years, I’ve been hugely influenced by the women’s peloton. Their grace under pressure, heart, and incredible talent are an inspiration. My ultimate goal for the hard copy of Wheeler is for the proceeds of each book sold to be donated to the Homestretch Foundation, founded by Kathryn Bertine, a former pro cyclist. She saw a need for women cyclists who wanted to compete but financially, had no way to train and earn a living. Homestretch provides the housing, equipment, training, and nutrition for elite riders to have a chance to compete at the pro level. Loren and Graham’s connection develops into a complex relationship through the novel. What were the driving ideas behind the characters development throughout the story? Relationships among creative types can begin intensely, with all the Shakespeare quotes and French terms of endearment, only to burn out in a few short months. Loren and Graham are both isolated and lonely, even though they are surrounded by friends and family. They each have personal issues to overcome and are willing support each other through their trials in order to make the relationship work, just like real people. Wheeler starts in the middle of Loren’s cycling competition. What is your experience with the sport and why was this a good setup for your novel? Being a cyclist myself, understand most of what they go through: the training, the discipline, sacrificing yourself for your teammates. I know the intense physical discomfort (i.e. pain) of taking your body to the limit and beyond. There’s a parallel between being a pro athlete and an actor – long hours of training, constant travel, the media spotlight, but also the close relationships that can develop between teammates (co-stars). It takes the right mix of personalities to make it work or the film (or team) won’t succeed. I thought this would be an interesting, and realistic, pairing. They would need to understand how important their careers are, but also know that it could all end with one bad review or the squeal of a car tire. I am currently wrapping up the first draft of the as unnamed follow-up and I hope to have it to my editor by Autumn, 2017. To become an elite cyclist in Europe, Loren Mackenzie has overcome much in her life, but no one would know it. Her tragic past is hidden inside tarnished armor and her fear of it being uncovered has kept her out of the spotlight. Known as the Ice Queen of the peloton, Loren rarely shows emotion in the heat of competition; she leads her team with quiet strength and determination. But when a chance meeting quickly develops into a whirlwind romance, the ice surrounding her heart begins to melt. All is not rainbows and unicorns, though. The relationship with an A-list celebrity brings with it the microscope of tabloid-media attention but also exposes the jealousy and obsession of another, threatening to unravel Loren’s tightly wound life. Can Loren open her heart to the love she has held at a distance, or will her fear and shame ultimately defeat her? Thank you! I could talk a blue streak about my lofty dreams, but that’s what they are… just dreams. I thought the interview was great. I’ve done a lot of interviews in the past and the worst interviews are the ones with one sentence responses to answers. ugh! But I think you provided some good information about the Homestretch Foundation and your direction for the novel. And it seemed like you were well… human. lol. Sounds funny, but it’s always a good quality in an author.